Harry (Apex, NC, United States) on 17 March 2019 in Lifestyle & Culture and Portfolio. 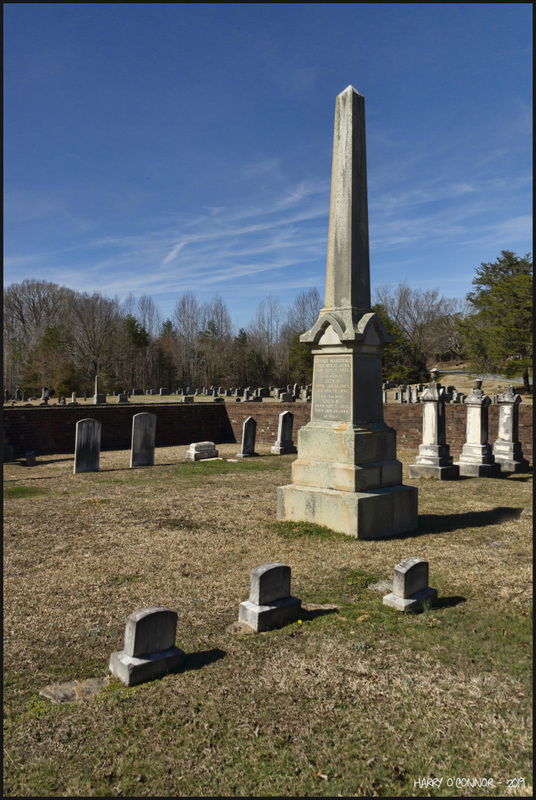 We stopped at this cemetery near/in Franklinville, NC. There were quite a few impressive monuments, including this one, for George Makepeace, 1799-1872. Several stones were for civil war veterans or casualties. One of our party researched a name on a different stone and found he was wounded in Gettysburg, suffered two amputations before dying at a hospital in Virginia, and was then brought home for burial. Great composition . What these soldiers suffered from the war of secession is terrible (like all wars of course) it must have been very moving to find a name . thanks for description. so sad. YOu have composed this respectfully. Interesting information . Cemeteries have so many stories to tell.